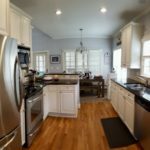 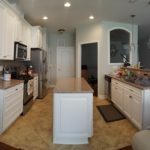 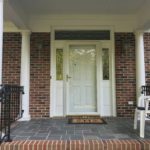 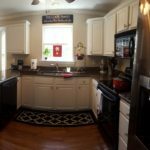 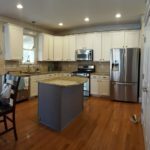 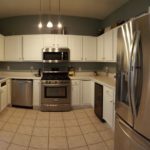 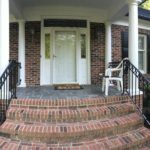 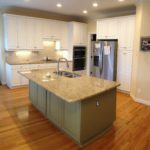 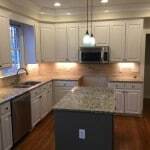 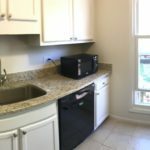 Our homeowners purchased their forever home and are knee-deep in renovations, before moving in. 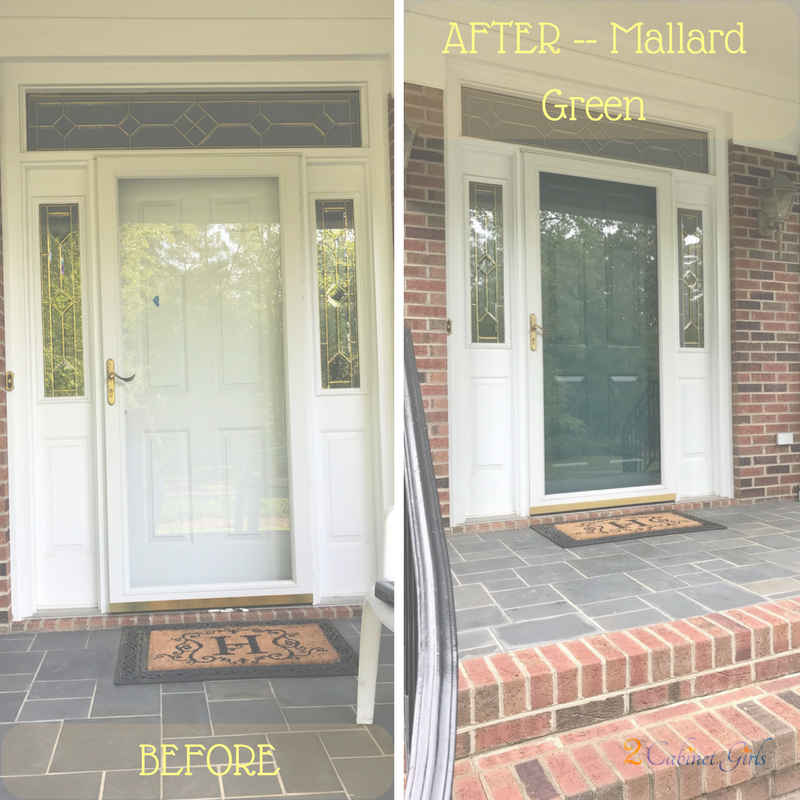 Our contribution, giving the bland front door a dose of color. 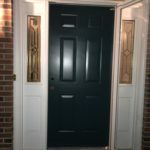 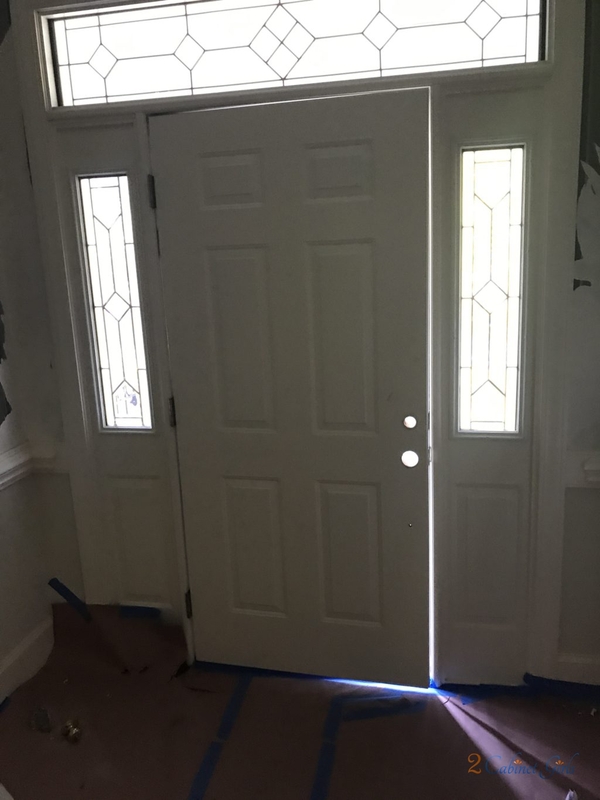 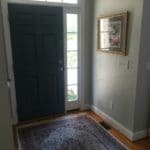 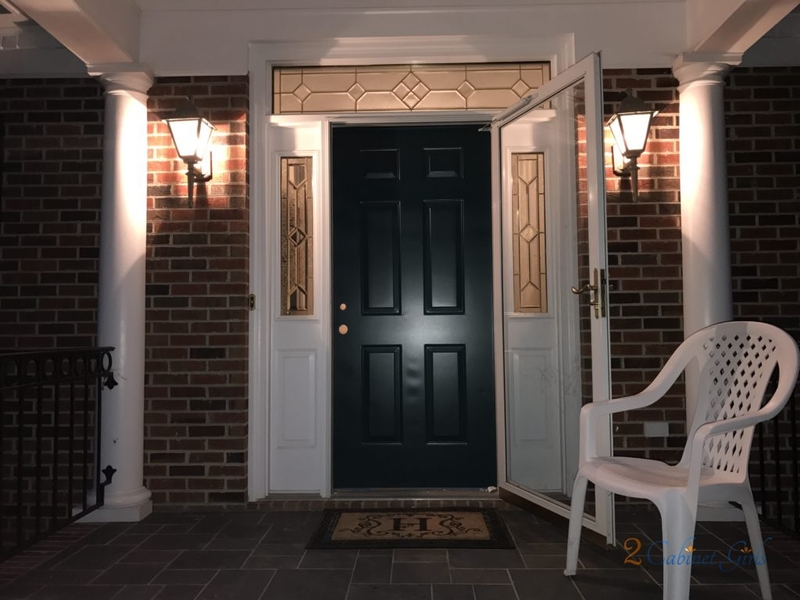 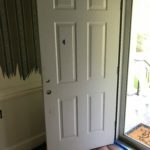 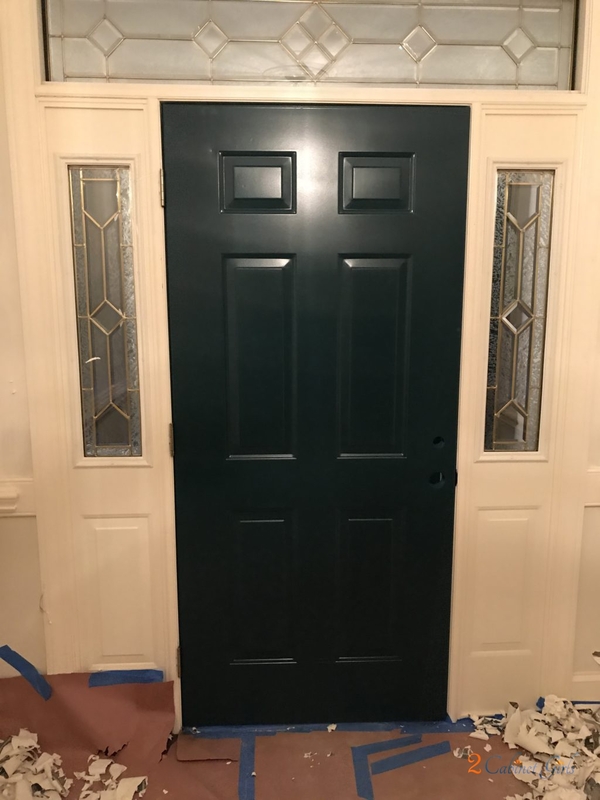 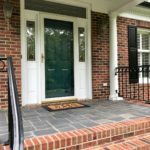 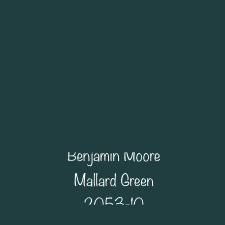 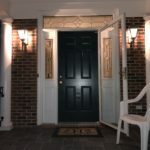 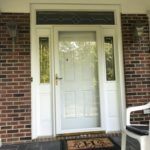 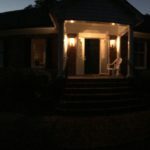 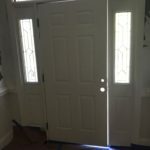 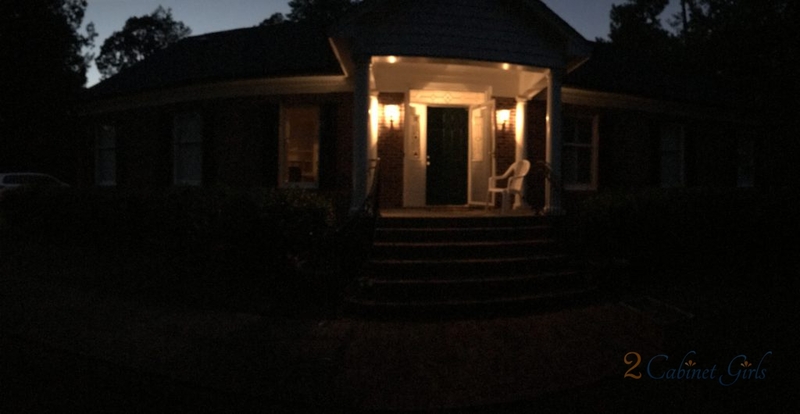 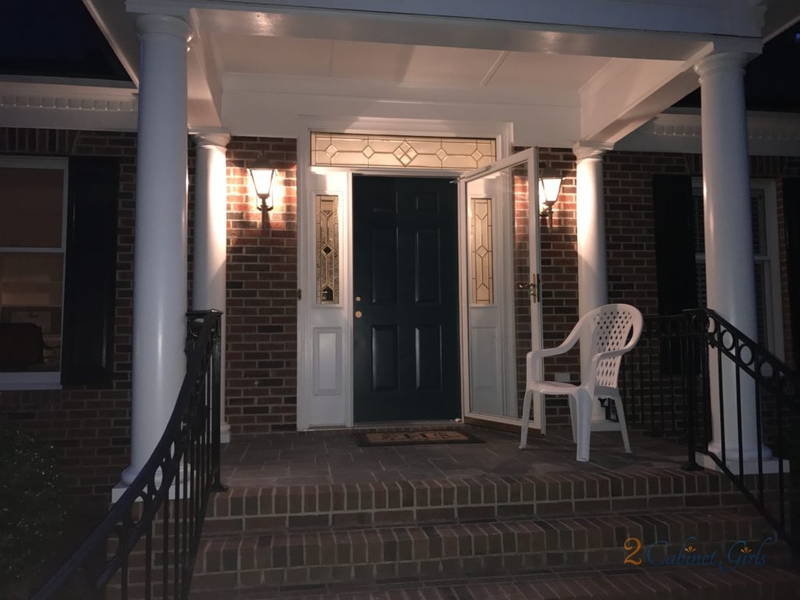 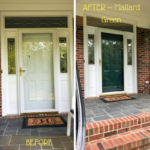 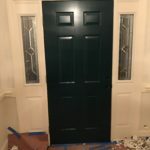 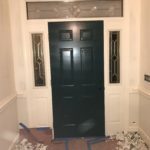 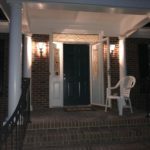 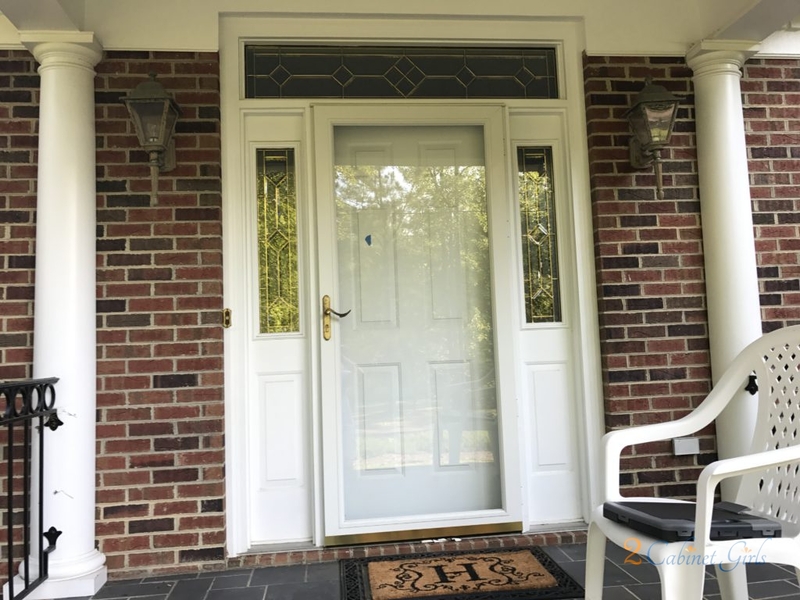 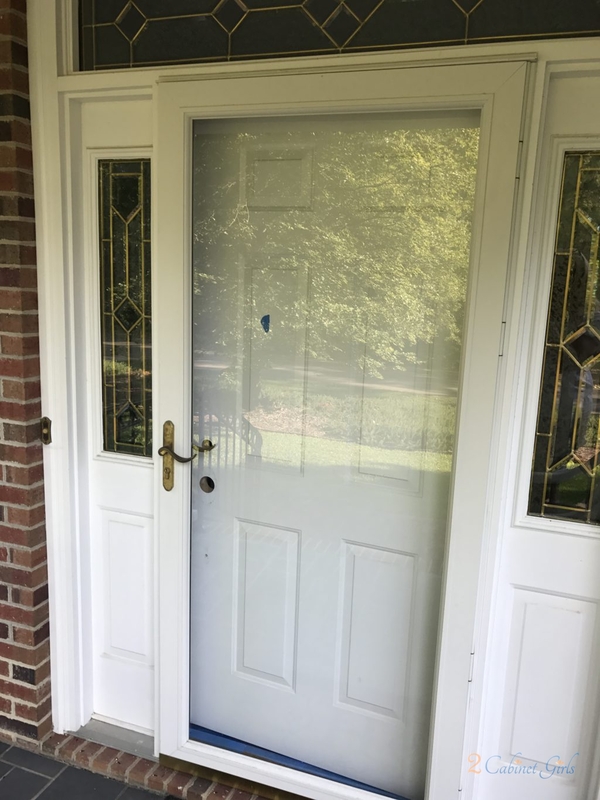 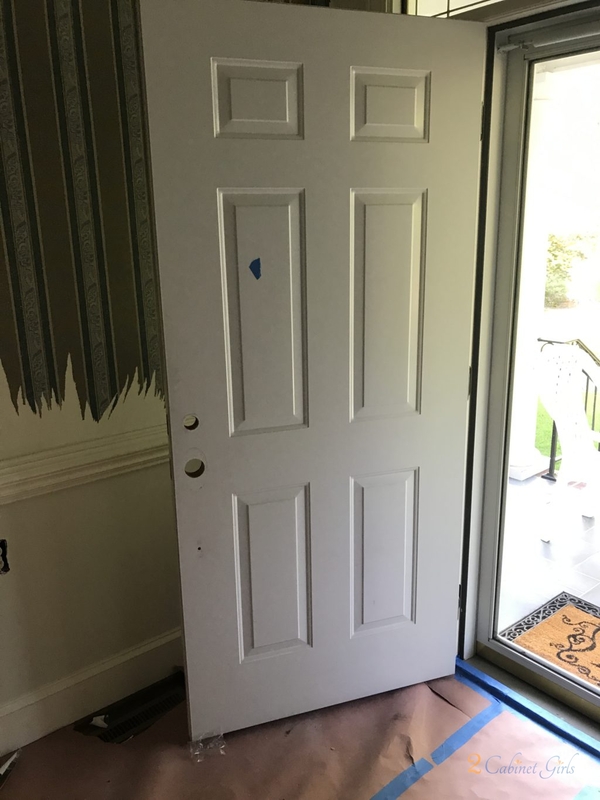 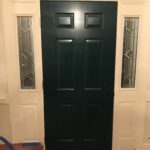 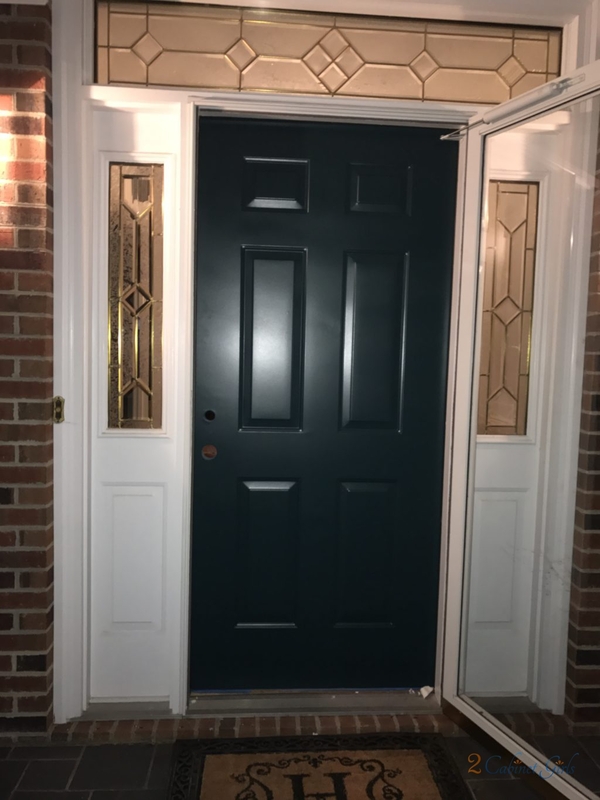 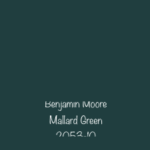 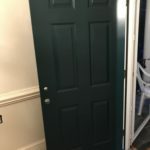 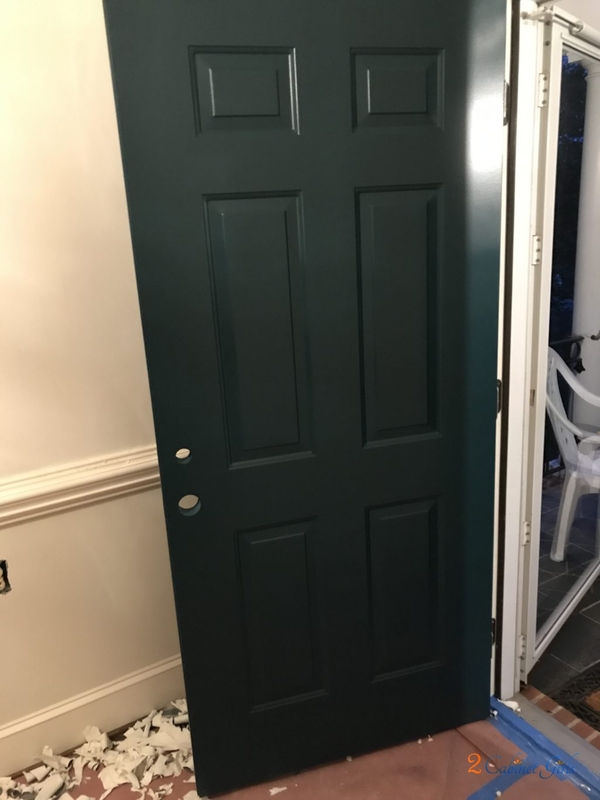 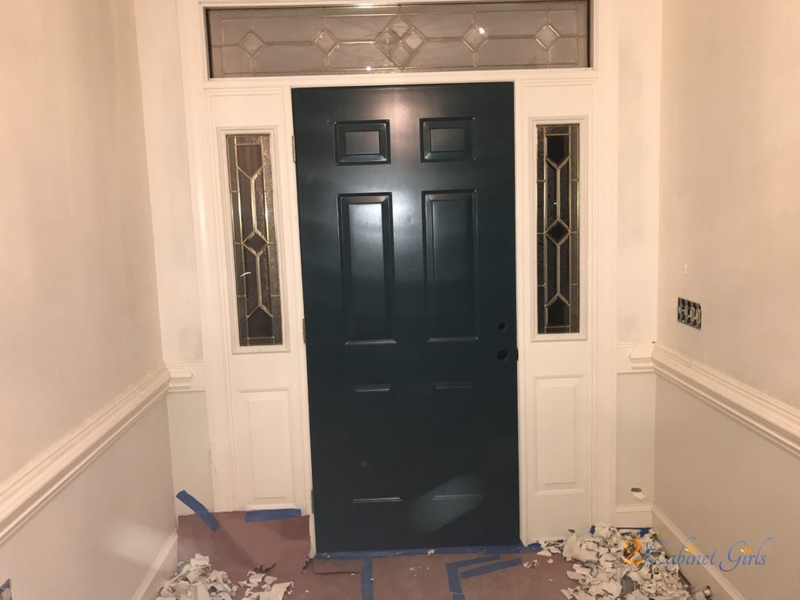 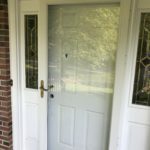 The homeowner choose Benjamin Moore Mallard Green, a dark teal shade, which we painted on both sides of the door. 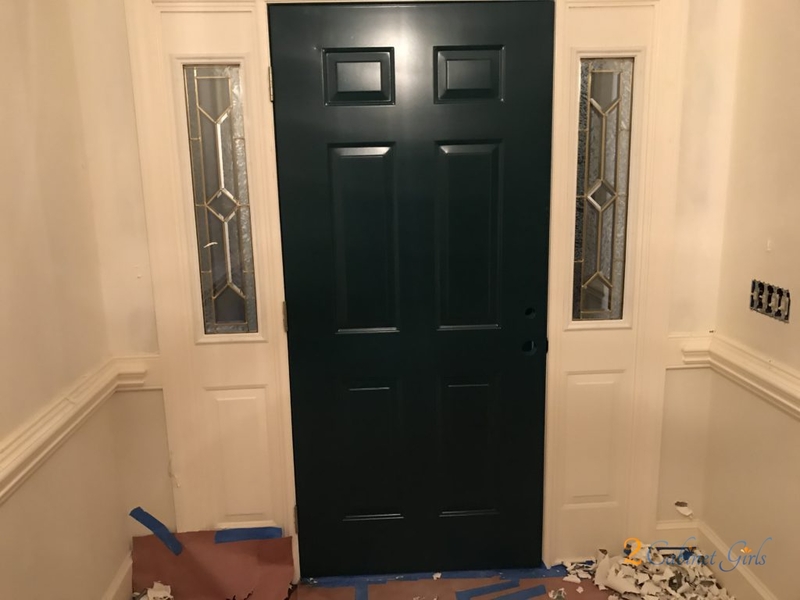 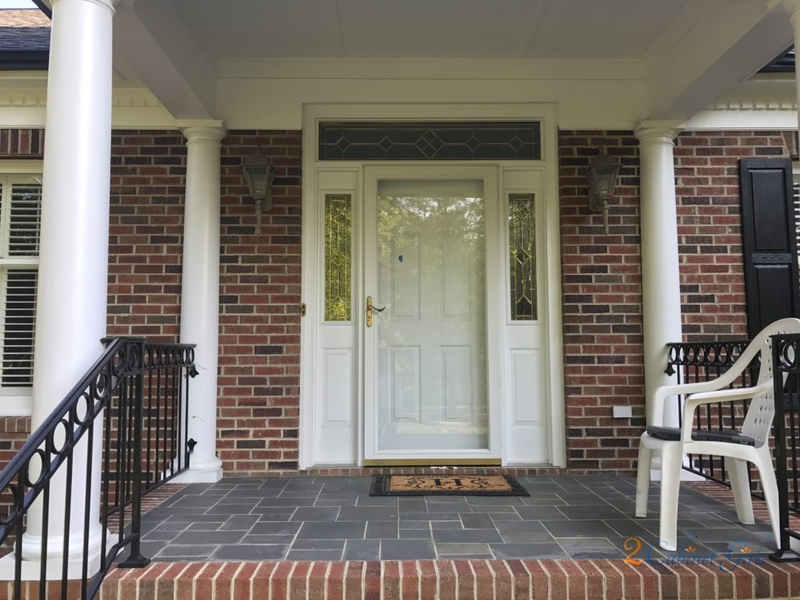 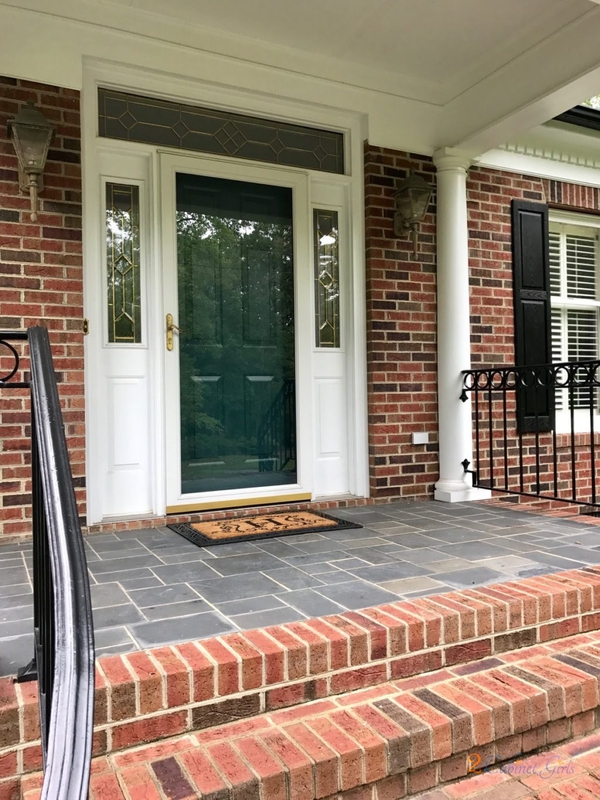 This bold color really gives the entry way a bit of extra pizzaz!